Hi Everyone, and welcome back. Is coloring good for your tinnitus?Apart from dancing and routine exercises to help us ,does this simple recreational activity help in any way with the ringing in your ears? Well let’s find out. We humans are visual by nature. We are attracted to images and if these images are embedded with color, chances are, we will be more likely to be drawn towards them. Our visual nerves registers the colours we see. We perceive color just as we perceive taste or smell. It was in 1966, that a scientist by the name of Sir Isaac Newton, discovered that by passing white light through a prism it would generate all the other colors. In this article, I am going to take you through what coloring is, (yes it involves pencil colors and a coloring book), then we’re going to talk about the benefits of coloring.We will then move on to how to get started, what coloring books to look at, and finally, I will offer to you some of my own recommendations. So without delay, let’s get started. Coloring is the skill or process of changing a color of something by painting, dyeing or shading it. 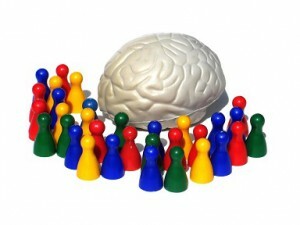 What are the effects of color on the brain? We swim in a sea of color. Color is one of life’s pleasures. It is essential as it forms a basis of communication between the world and the creatures. For instance, bees search out flowers which have a certain color to obtain the nectar from it. We know when a fruit is ripe just by looking at its rich and full color. 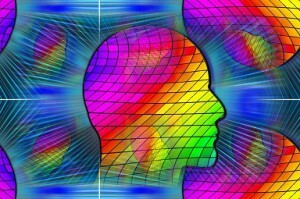 Scientists have been studying the effects of color on the brain. They have found that there is a relationship between color and our emotional reactions. It was found that the body responds to color via energy. Color is produced by waves of electromagnetic energy perceived by cells within your eyes, skin and bones as well. Red for instance have been found to have the longest wavelengths and transmits the least energy. Violet on the other hand have the shortest wavelengths and the most energy. Irrespective of which part of the world you are from your body and mine will register the same wavelength when exposed to the same color. 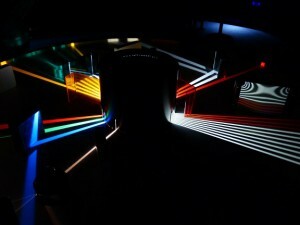 We react to light and color in certain ways. This explains why in the absence of light and color, the body is able to generate an easier sleep pattern. There are a lot of colors and for me to list the meaning of each and everyone of them is not possible here. If you do however have a color in mind and would like to know its meaning, then please let me know. I would be happy to check it up and let you know. So below are the meanings associated with the popular colors which we all are familiar with. RED– An energizing, stimulating color. It increases alertness and brings awareness of the present moment.It signifies passion, life, sexuality, love and the power to create. It also refers to blood, rage, violence and fire. BLUE– Is calming and relaxing and has to do with nurturing aspects of the feminine energy. It is the color of the clear sky and refers to infinity and eternity. So How does coloring help with Tinnitus? I mentioned in one of my previous posts, the importance of yoga in tinnitus. Its importance comes from the ability of yoga to calm and relax the mind and bring it into the present moment. By doing this, it de-stresses the body and significantly helps with the tinnitus. Coloring works in a similar way. Okay, there certainly is no stretches or balancing going on. Coloring is de-stressing in its own right. It takes the mind away from all the stress that is going by immersing it into the fun world of color. Your minds focus is shifted on the task of choosing different colors and thinking about ways of bringing life to what was once a black and white, dull portrait. It is this de-stressing that makes you focus less on the tinnitus and enjoy the activity with lots of excitement and playfulness. Furthermore, by spending your time in an activity as opposed to no activity at all, you end up feeling less anxious and less aware of the tinnitus. 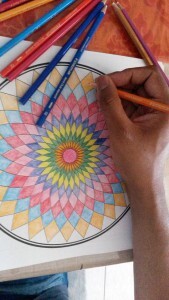 I use the Mandala coloring book, and I love it. I can’t wait to open the book and see what awaits me. It starts first by finding the page that resonates to you and says ,”color me in.’ Then like a kid, with bursts of enthusiasm I choose various colors depending on what resonates with me in that moment, and then sit back and admire the page I brought to life. Before I know it, one, to one and a half hours have flown by…. Psychologists are of the opinion, that coloring offers us adults , ‘fun and pleasure’ and this ‘playing’ is important throughout your entire life and not just during childhood. The point here is to give this a go and start somewhere. You never know, you might find yourself wanting to do more and more. Contains 45 different designs, ranging in complexity for the beginner and the advanced user. Pages are thick so that you can use gel pens without causing bleeding. Practical, easy to use and provides hours and hours of stress relief. I received the part one of this series as a gift and then later on, my wife purchased the part two.The coloring of the Mandalas has provided me with meditative practice. I found it very calming and soothing for both mind and body. Susanne Fincher gives you a lot of material to read prior to actually getting involved with the coloring.She starts off with the history of Mandalas, then Mandalas being used as sacred art, to children’s drawings of Mandalas. You learn about how the Mandalas were used as a form of communication.Finally, the importance of color and its meanings are discussed as well as the color systems. You are guided on how to use the book as well as selecting materials from colored pencils, crayons, chalk, oil pastels, water colors, tempera paint to colored inks. 50 awesome animal designs in settings of seas, jungles and savannahs from all over the world. Made from the same people that designed Stress Relieving Patterns. We have seen the benefits on the stress levels which in turn can regulate the intensity of the ringing, whistling noises in our ears. So,is coloring good for your tinnitus. Yes, for me personally, it has worked. I would like you to give this a go and see for yourself the effects that coloring has. As always, I invite you to share your input and opinions here.If you feel someone will benefit from reading this article, please use one of the social channels below and let’s get people coloring Again!!!!! ← Is Tinnitus DANGEROUS ? I am glad that you enjoyed my site. I try to write about things that I have experienced with tinnitus and hopefully by sharing this information, it may offer others help or support in their own battle. Glad to hear that you love coloring.It’s a relaxing and wonderful pastime and it really does a lot of good for our stress levels. Hi, I think I had tinnitus when I was young and I was terrified something was wrong with me, and my parents were not really taking it seriously since doctors were saying my ear is fine. It’s interesting, the things that you share here. Coloring huh? Never thought of that. One thing that I remember I would do is to go to the washroom and turned on the tap water. Listening to the water helps in easing it out and it disappears. Now that I am an adult, I am less affected by the ringing but would definitely check it out. Thanks for the recommendation! Yes, tinnitus is very subjective , and what you are experiencing is very hard to explain to others.I for one may have about 3different noises going through my mind at the same time and it’s hard to get people to understand how it’s affecting your life. Glad you enjoyed this article and hope to see you around again. Thanks for the article on Is coloring good for Tinnitus? I don’t have ringing of the ears, but I enjoyed your article because I too have an adult coloring book for de-stressing. I find coloring to be very calming. I like that you were able to give the meaning of some colors. My favorite color is blue, and your description of what the color means, describes me a little, I am very nurturing by nature, how ironic! Anyway I love your article, and I’m impressed that you were able to find a helpful medium for your Tinnitus. Good luck to you. Glad to hear two things, firstly that you don’t have tinnitus and secondly that you find coloring de-stressing and calming.It certainly helps our mind and body in a way that you can’t believe.I highly recommend this to anyone who desire some peace and time out from their busy lives. I think the meanings of the colors are there are as guide and gives one an indication of certain traits or characteristics.The chakras which are energy bodies within us also have specific colors and shows that there is a deeper relationship between us and colors. Nonetheless, glad you enjoyed this article and take care of yourself. Hi Roopesh, I am so glad that I came across this article about tinnitus and coloring in. I have suffered with tinnitus for many years and have been told by doctors that there is no cure. Something about the tiny hairs in your ear that have been damaged. I an definitely going to give this a try. Tell me, does this only re-leave the tinnitus while coloring or does it have a long time effect? Thanks for this usable information. There are a lot of treatments that I personally use, as discussed on my website for easing the tinnitus. Coloring for instance is something that is relaxing and in this way helps to take your mind off the tinnitus. It does not have a long term effect, but if you can do this as regularly as possible, then it will get your mind and body more calm and I think this will help you cope better with the tinnitus going forward. Hi Roopesh .. I am a master of audiology student at the university of auckland. I am currently doing research to validate the very facts that you have mentioned. would like to talk to you about it more in detail. That sounds fantastic. Thanks for the offer. I will contact you and we have talk about this in much more detail. Can you believe I missed that one?